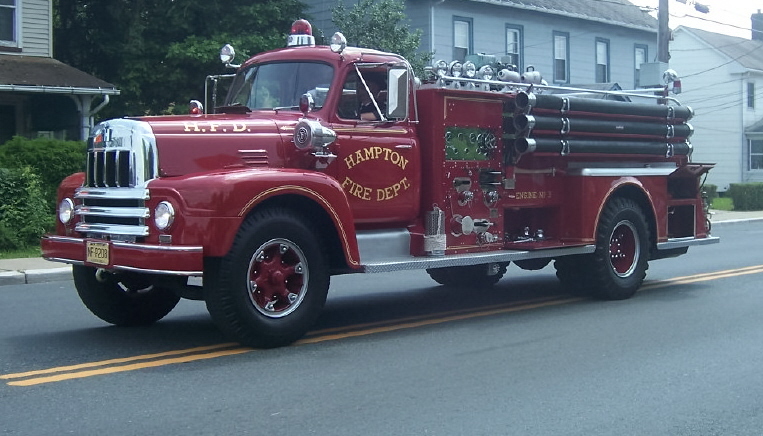 The Hampton Fire Company began in 1899 as the Junction Fire Company following the completion of the borough wide water system, including hydrants, in that same year. In 1909, the name changed to the Musconetcong Fire Company and then later to the Hampton Fire Company. The Fire Company built for the borough the current Borough Hall/Fire House in 1951. 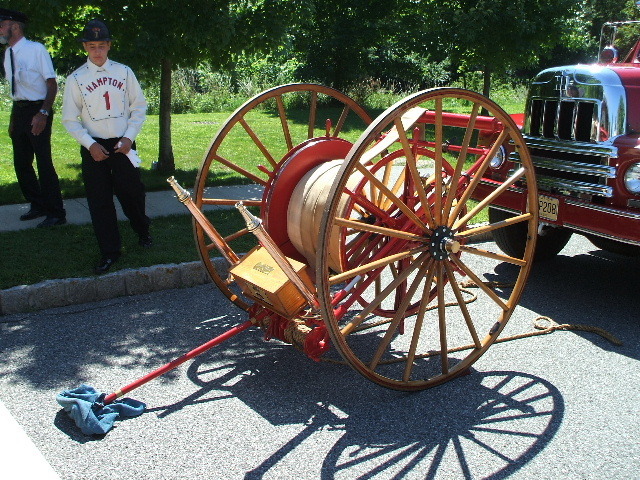 The Borough occupied the east side and the Fire Company used the west side. In 1981, the Fire Company expanded the building by adding a second floor for borough use and the Fire Company took over the entire lower floor. The Fire Company currently has as active apparatuses a 1959 International Harvester fire engine, a 1987 Emergency One Fire Engine, a 1999 Pierce Fire Engine, a 1995 Chevy Suburban command vehicle, and a 1978 GMC Rescue Truck. There are over 40 active members on the rolls which includes an active Junior Firefighter program for young people age 14 and over. The Fire Company consists entirely of men and women volunteers. These courageous individuals dedicate their time and hard work to serve the people of Hampton as well as residents in surrounding communities. To raise money to purchase equipment and train members, the Fire Company rents out the hall for various events and hosts breakfasts on the third Sunday of every month from October to April.